The ARM Mali-400 MP4 is an OpenGL ES 2.0 capable GPU for ARM SoCs (System on a Chip). It is primarily designed for tablets and smartphones with mobile operating systems like Android. 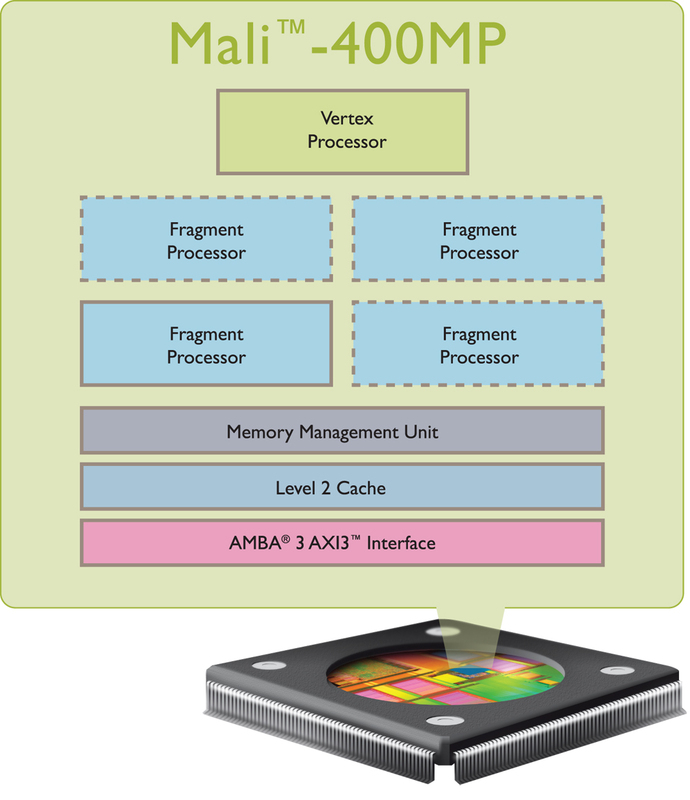 MP2 is the version with two cores (so called fragment processors) and a vertex processor. Archos Hello 10: Mediatek MT6580M, 10.1"
Archos Hello 7: Mediatek MT6580M, 7"
Lenovo Vibe A Plus: Mediatek MT6580M, 4.5"